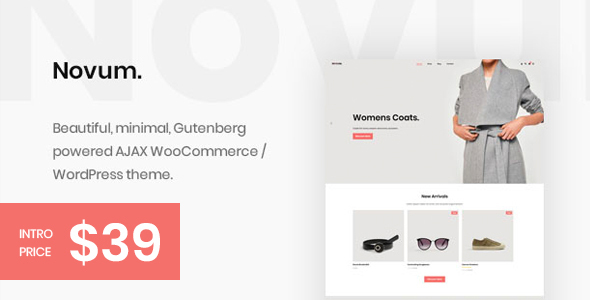 Novum is a beautiful, minimal, responsive, Gutenberg powered WordPress / WooCommerce theme. Novum is built around WordPress best practices, coding standards and native functions. Making it fast, intuitive and very easy to use. Novum abstracts various functionality into plugins, allowing you to use just what you need, and nothing you don’t. Deep Gutenberg integration including custom blocks. Shortcodes built into the native WordPress editor. Lots of expressive shortcodes & blocks for ease-of-use.